Introduction to Tampa–Florida was bestowed the title of “Fishing Capital of the World” and Tampa Bay offers the best fishing the sport has to offer. 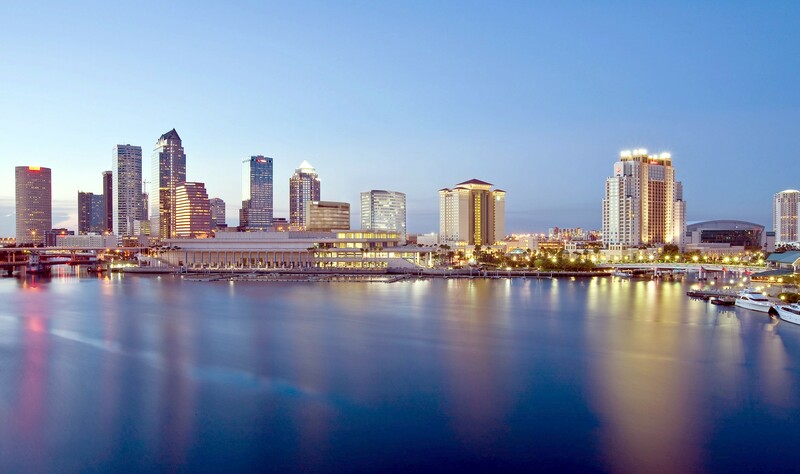 Tampa, Florida has an enormous variety of attractions and perks for the people who live in and around the city. Waterside cafes, Busch Gardens, the Florida Aquarium, Channel side shopping, and the Tampa Bay Buccaneers, Devil Rays, and Lightning are just a few of the biggest attractions. Then there’s Ybor City, where visitors can find hand-rolled cigars and Cuban sandwiches. And don’t forget the ocean and the white sand beaches, which offer people the chance to participate in jet skiing, parasailing, sports fishing, and boating. The city has a population of around 372,000, which makes it the third largest city in Florida. 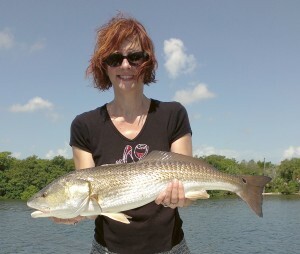 Tampa Outdoors-Inshore Flats Fishing is great fun and you don’t get seasick. The weather in Tampa Bay is typically characterized by bright sunny days and calm breezes, with the average annual temperature hovering around 72 degrees great fishing weather. Fishing Tampa Bay with Capt. Woody is very exciting, and because it provides a healthy departure from your regular routine it, can be enjoyed by everyone from children to adults. It is also a great way to relax and create memories for a lifetime. With Capt. Woody, you never know what you might catch. You begin along our beautiful mangrove shoreline, targeting our world famous snook, whose drag screaming runs and jumps will ignite your heart rate. Or perhaps you could tie into a hard pulling redfish or beautiful spotted sea trout; all three fish represent our most readily available game fish. With more than 200 species of fish in Tampa Bay, we sometimes change it up and go after something different like mackerel, sharks, sheepshead, snapper, grouper, or kingfish. Fishing in crystal clear shallow water around the edges close to the mangrove shorelines or sometimes on open grass flats; the amazing thing about fishing with Capt. Woody is you usually see the fish you’re going to catch. The area also has a variety of natural beaches, lakes, and rivers that create opportunities for snorkeling, diving, sailing, fresh or saltwater fishing, kayaking, cruising or sunbathing. The area has dozens of golf courses, and many championship events are hosted here, including the Champions Tour Outback Steakhouse Pro-Am. Tampa Culture–Tampa is a very multi-cultural city and has a Hispanic population that exerts major influence in the area. 10% of the population is Latino, and the area was named one of the five most diverse, integrated urban areas in the United State by the Census Bureau. There are a number of museums to visit in and around Tampa, including the Pioneer Florida Museum, the St. Petersburg Museum of History, the Gulf Coast World of Science, the Yulee Sugar Mill Ruins, the Boatyard Village, the Salvador Dali Museum, and the Children’s Museum of Tampa. Live theater can be seen at the Friday Morning Musicale in Hyde Park, Gorilla Theater in Drew Park, the Tampa Bay Performing Arts Center, and Tampa Theater. 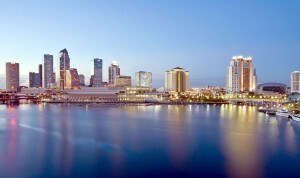 Tampa at Night-Tampa Bay is known for its nightlife scene and the variety that it offers. Any night of the week there will be music in bars such as rock, reggae, blues, country, punk, salsa, and jazz. There are a few trendy spots with nightclub scenes tailored to sophisticated partygoers, such as Channel side and International Plaza’s Bay Street. The SoHo district offers the chance to mix and mingle with friends, while Ybor City is widely known as the place to be at night.